Hi I am Ange. 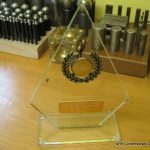 I am a Jewellery Designer/Maker and I have been running my business since May 2008. Initially I was self taught and then found a personal tutor to help teach me all the finer skills. I love using traditional silversmithing techniques to produce beautiful handcrafted jewellery. I am inspired by contemporary styles and clean, elegant lines. I work in all colours and carats of gold and in sterling silver and work with clients to make that truly bespoke pieces of jewellery. I love recycling old jewellery to make beautiful contemporary pieces, even re-using old gemstones. I run jewellery making workshops and tuition sessions to extend this wonderful craft to others. 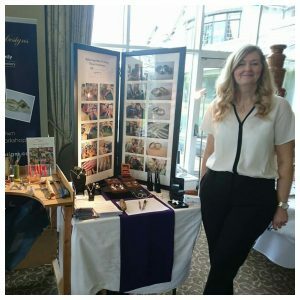 I run group workshops at The Potters Barn, near Sandbach in Cheshire and have the ability to travel anywhere with tools and jewellers benches to run workshops for corporate days, team building events and demonstrations. I am a member of the Federation of Small Businesses, the Cheshire Artists Network and take part in the Wirral Open Studio every year in June. I am always at the Winter Arts Market held at Liverpools Anglican Catherdral in December. 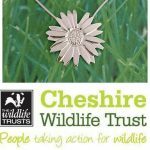 Working with the Cheshire Wildlife Trust.